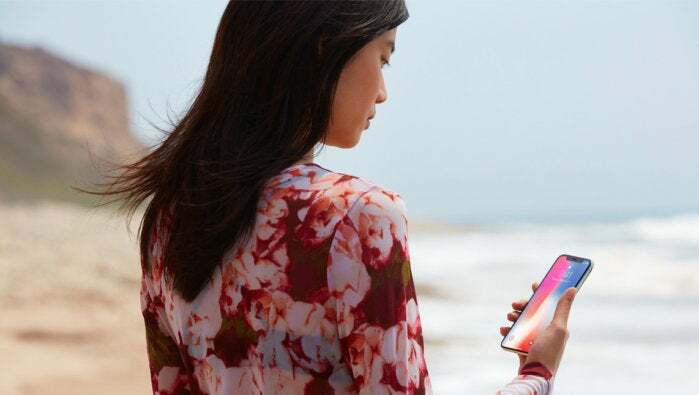 Face ID could be coming to the S9. Samsung has unveiled details about its upcoming Exynos 9 Series 9810 processor bound for the Galaxy S9, and it could give the iPhone X with its A11 Bionic chip some stiff competition. In addition to massive speed boots, improved networking, and image processing enhancements, the new chip unlocks 3D face detection, a feature that sounds a whole lot like Face ID. In a press release ahead of its public debut at CES, Samsung outlines numerous improvements for the second-generation 10nm Exynos 9810. The chip has a new 8-core architecture, with four of the cores reaching speeds of up to 2.9GHz (versus 2.3GHz on the 8895). Samsung says that will bring a 40 percent performance boost. Why this matters: While the Exynos chips will likely still be relegated to overseas models of Galaxy phones, Samsung’s chips could have wider implications this year. Samsung and Qualcomm are working closely on the design and development of the U.S.-bound Snapdragon 845 chip, so it’s possible that the features and enhancements we see in the Exynos 9810 could show up in S9 phones running 845 chips. The Galaxy S9 is widely expected to debut the new Qualcomm chip, so there may be S9-exclusive features in the chip that are still under wraps. While we don’t know yet whether this technology will make it into Galaxy S9 phones, it’s clear that Samsung is working on a rival technology to Apple’s Face ID. The Galaxy S8 and Note 8 already include a facial-recognition biometric, but that uses the camera’s 2D sensor and can easily be spoofed. The method outlined here is far more sophisticated and in line with what Apple uses on the iPhone X. While rumors about the S9 have been inconclusive concerning facial recognition, leaked images have shown it will still feature a fingerprint scanner on the rear of the device. However, it’s possible that Samsung offers 3D face unlocking as an option alongside other biometric scanners. Additional enhancements to the chip include an embedded 1.2Gbps LTE modem, a dedicated image signal processor (ISP), and an enhanced security processing unit for storing biometric data. Specifically, Samsung says the new ISP will bring “faster and more energy-efficient image and visual processing” as well as “advanced stabilization for images and video of up to UHD resolution, real-time out-of-focus photography in high resolution and brighter pictures in low light with reduced noise and motion blur.” Rumors have all but confirmed that the Galaxy S9+ will feature a dual camera array like the Note 8. The Galaxy S9 is expected to make its debut at or around Mobile World Congress in late February or early March.